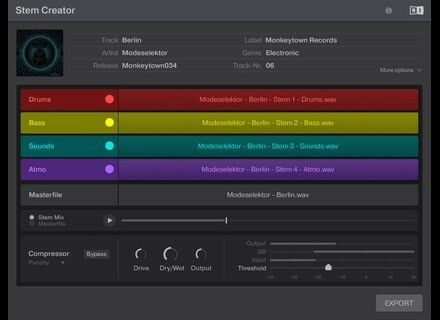 Stem Creator Tool, Digital Audio Editor from Native Instruments. 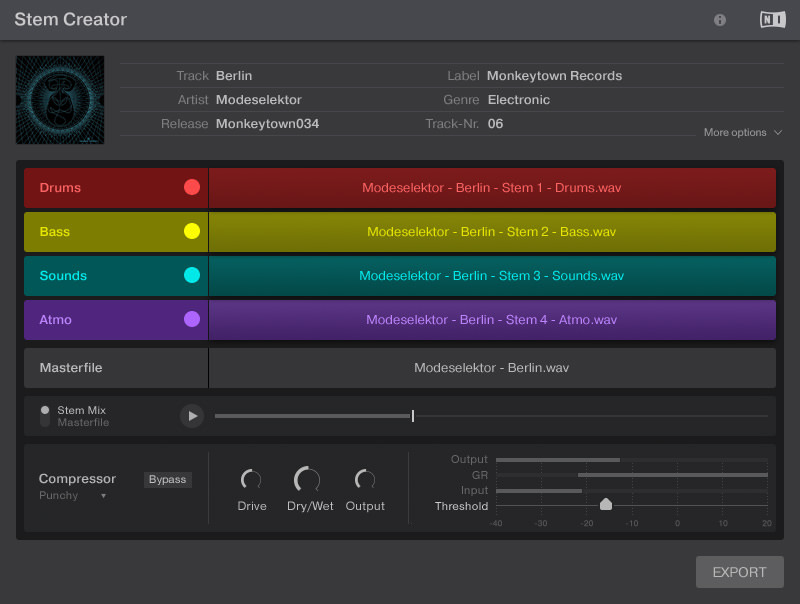 Native Instruments and Mute Records jointly announce two digital-exclusive releases in Stems format from British band New Order. New Order, who released their highest charting album for 22 years 'Music Complete' in September, prepare to release their second single from the album, 'Tutti Frutti'. As of Monday 7th December, a DJ-friendly extended version will be available as digital release, exclusively in Stems format, along with album track 'Academic'. This release by a major band is presented as marking a step forward for the adoption of Stems, which allows DJs to -freely interact with a track’s individual musical elements and provides new revenue streams for labels and artists. According to NI, the Stems format has been garnering support from DJs across the music spectrum since its appearance some six months ago. More details on Stems can be found at www.stems-music.com. Music in Stems format is available from Beatport, Juno, Traxsource, Whatpeopleplay, Bleep and Wasabeat. Sam Spacey releases Epica Bass Sam Spacey presents Epica Bass, a dedicated analog bass synth library sampled from a large collection of classic analog synths and modulars. December is Piano Month at Dream Audio Tools This December, Dream Audio Tools celebrated Piano Month and offers its piano libraries for 40% off. UVI's Beathawk and expansions up to 50% off For the end of the year, UVI offers its Beathawk virtual studio for iPad at half price, plus up to 50% discounts on all Beathawk expansions.